Trenton, NJ, January 17, 2017 – White House Champion of Change and Founding Partner with President Obama Administration, for the “Fair Chance Business Pledge,” is the Ringside Interviewer for the Pro/AM Boxing Extravaganza. He’s a formerly incarcerated model citizen, entrepreneur, and author of From the Block to the Boardroom. Tracey was selected by Tatianna Sims, the granddaughter of legendary Film and Television Entertainer, “Sandman” Sims. She’s Founder and CEO of Challenge Entertainment, the umbrella company of CE Sports which will air this event on the FUBU-TV Network. Tracey became a boxing fan in the early 1970’s and trained at the Police Athletic League (P.A.L) gym in Trenton, NJ. “Boxing wasn’t for me and I didn’t like getting hit in the face,” stated Syphax. Instead, he worked with the trainers and traveled with Mexico City Olympian, Golden Gloves and AAU state boxers such as Sammy Goss; Terry “Slim” McCoy; James “Junebug” Livingston; and William “Red” Berry. 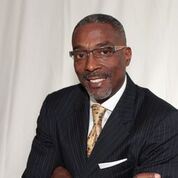 Syphax is President & COO of Phax Group Construction & Design LLC and Senior Managing Partner with Phax Group Real Estate LLC managing multiple properties throughout Mercer County, NJ. He has spent his 20 year-career in business and has gained national recognition as an advocate for ending mass incarceration through education, employment, and entrepreneurship. To learn more about Tracey D. Syphax, President of FTB2TB visit www.ftb2tb.com.